​The guitar, in the photo, is actually a Martin D28, on loan while Phil's 1976 D-28 was having adjustments made, at the C F Martin factory, in Nazareth, Pennsylvania. Front Page & Detail from page 19, of SNEAK PREVIEW, 2015 Best of the Rogue Valley, Part ll Edition, September 3, 2015. Photo added, for emphasis. 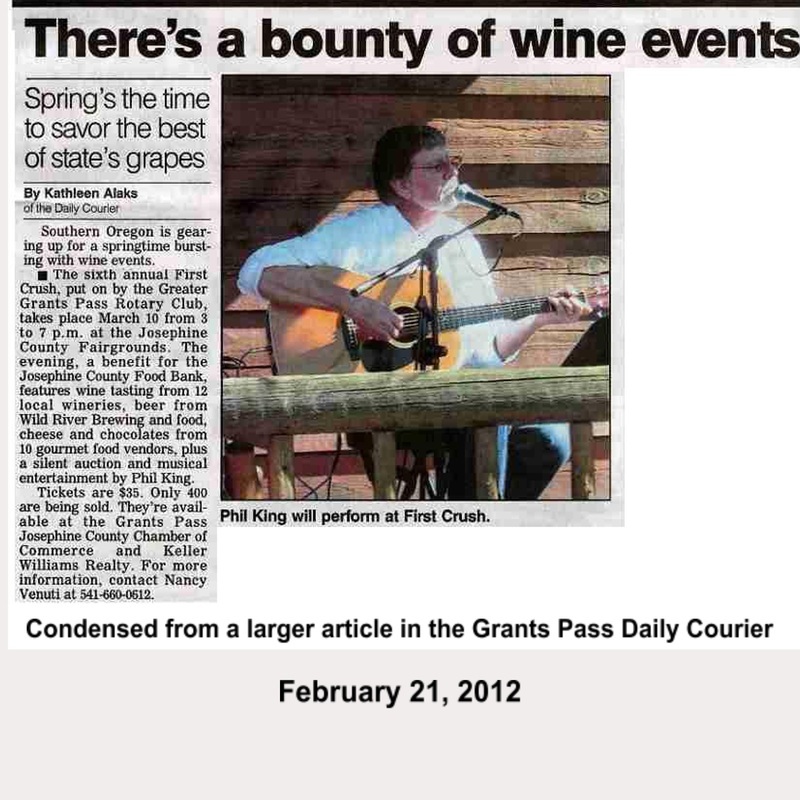 ​ Review of Phil's C D "JUST ME", as published in The Grants Pass Daily Courier. 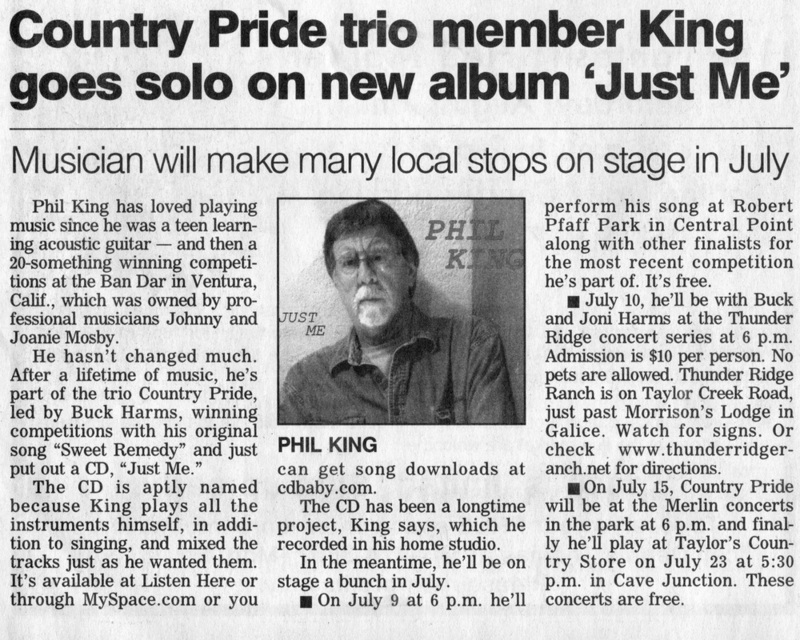 The following article was published in the Grants Pass Daily Courier, in 2010, prior to Phil's "retirement" & launch of his Solo, performing, Singer/Songwriter avocation.